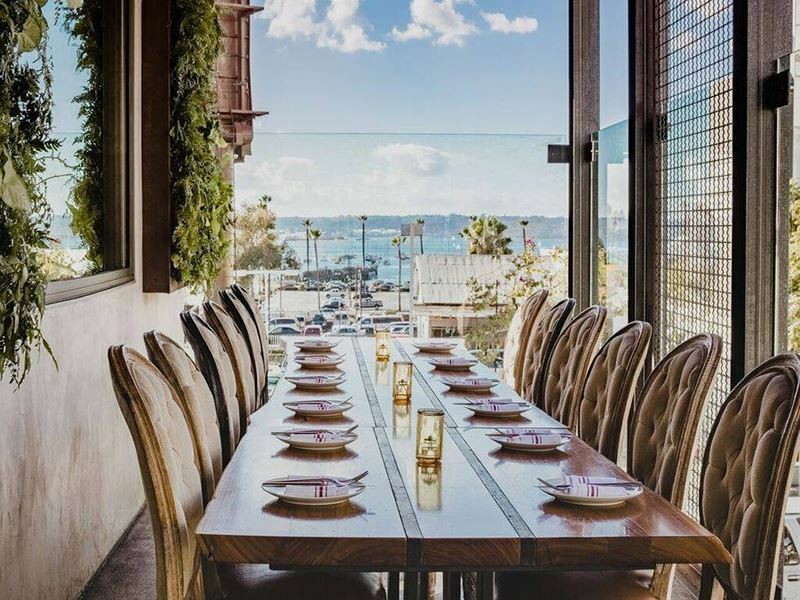 San Diego’s incredible summer-like climate means you can enjoy wining and dining outdoors all-year-round. 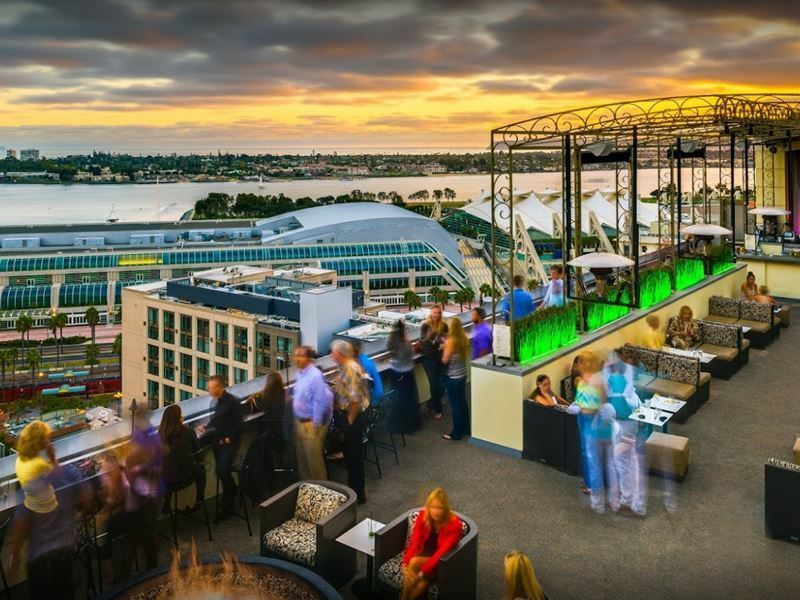 And with a magnificent skyline that offers up unique sights of the iconic Coronado Bridge, eye-catching Petco Park and the simply stunning waterfront, what better place to admire the view from than from a plush chair on an open-air rooftop bar with your favourite drink in hand? 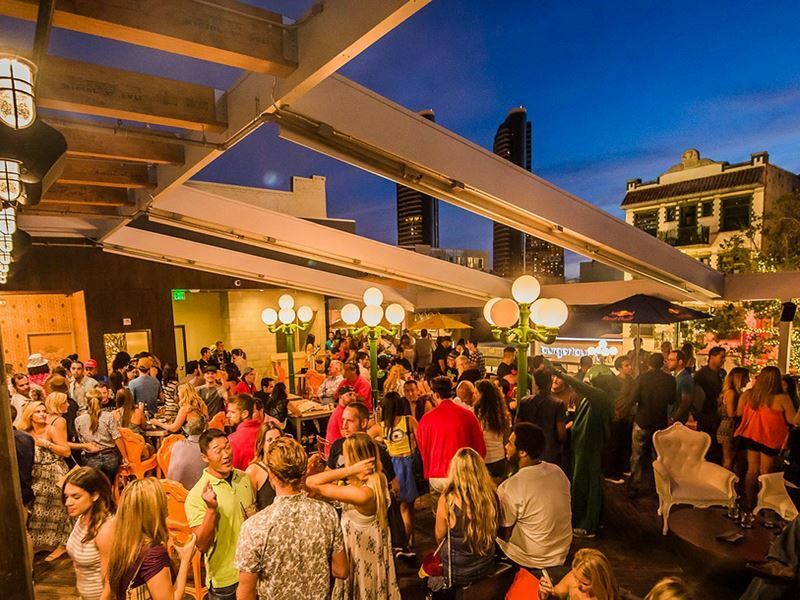 Whether you plan to gaze at the stunning pink hues of Instagram-worthy sunsets in winter or top up your tan under the beating sun in summer, these are the top 10 rooftop bars in San Diego you’ve just got to visit. The scene: Perched at the top of San Diego’s Hard Rock Hotel with sprawling views of the chic harbour, the cultural Gaslamp Quarter and the instantly recognisable Coronado Bridge, Float is an amazing rooftop bar that transitions perfectly from a stylish oasis in the afternoon to a buzzing club at night. During the day you can soak up the sun on elegant loungers or cool off with a dip in the pool then at night switch up your outfit and cuddle around the fire pits or hit the open-air dance floor as the DJ takes to the decks. There’s a fully-stocked bar and expert bartenders more than capable of whipping you up incredible premium cocktails. But for that extra luxurious feel, you can opt for the VIP bottle service and have bottle after bottle of top label spirits brought to your table so you never have to leave the party. Signature drink: The strong and fruity mojitos are the perfect thing to sip poolside. Try the jalapeño margarita for a spicy kick. The scene: Rustic Root is the place to go when you don’t want to have to pick between old and familiar and new and exciting. This home-away-from-home venue serves up traditional yet dynamic American cuisine in rustic-looking surroundings with a lively, modern vibe. The rooftop terrace is split up into two very different zones. The spacious common area with wooden beams, street lamp-style lighting and antique-inspired seating is perfect for mingling, dancing and chatting with large groups of friends. While the quieter and more intimate area off to the side with modern low couch seating, bright contrasting colours and eye-catching animal topiary is ideal for quiet talks and enjoying a relaxed drink or bite to eat. For the full menu you’ll have to head indoors, but the tapas-style small plates served on the roof terrace should be enough to keep hunger at bay while you sip on creative craft cocktails. Signature dish: The RR Burger topped with bacon jam, a fried egg, caramelised onions, aged cheddar, lettuce, tomatoes and mustard aioli served in a brioche bun with a side of fries. The scene: Towering 40 storeys above the bustling city streets of San Diego, Top of the Hyatt is set atop the tallest waterfront hotel in all the West Coast, treating visitors to truly unique views you’ll only be able to replicate in a helicopter. Dramatic floor-to-ceiling windows guarantee unobstructed vistas of the captivating surroundings which give breath-taking a whole new meaning come sunset. Whether you pull up a chair at the marble bar to watch the master mixologists do their work or sink into one of the comfortable couches, it’s impossible not to feel relaxed and at home at this premier rooftop bar. The food menu is limited to light fare, with a small selection of gourmet savoury bites such as crisp chicken croquettes served with a trio of sauces and delicate sweet desserts like passion fruit panna cotta with a pecan shortbread crumble. The drinks menu is considerably larger and boasts an amazing choice of local and imported beers, ingenious cocktails and such a vast selection of wines that you’ll think you’re in Napa Valley. Signature dish: Meat and cheese board, comprised of a wide array of local and imported charcuterie, cheeses, traditional accompaniments and crunchy grilled bread. 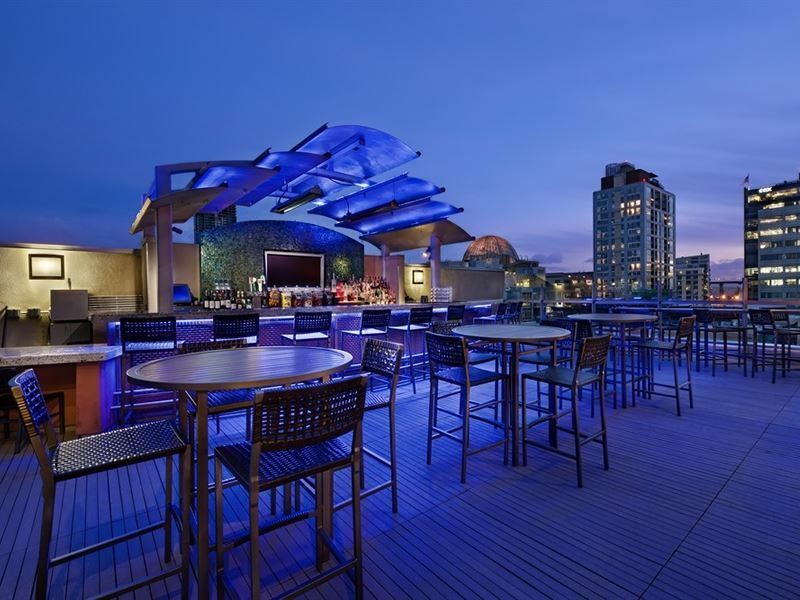 The scene: Capturing the alluring vibe you can only find in the Gaslamp Quarter, Level 9 Rooftop Bar offers sweeping views which stretch across the city streets all the way to the Petco Park baseball park. Worlds away from the stuffy and exclusive rooftop bars that were the in thing years ago, Level 9 Rooftop Bar is always buzzing because it happily welcomes anyone looking to combine awe-inspiring cityscapes with exciting drink choices and modern bar-style eats for genuinely affordable prices. Designed to be eaten without the need for cutlery, the food here is full of popular favourites like baja fish tacos and chipotle chicken wings which you can wash down nicely with one of the many draft or bottled beers, a flavour-packed cocktail or glass of fine wine. Signature dish: Table 509 Chopped Salad with bacon, egg, tomato, avocado and blue cheese crumbles, all tossed with your choice of ranch dressing or vinaigrette with the option to add fish, chicken or steak. The scene: Located directly above the hotel’s restaurant JSix, LOUNGEsix has a reliably energetic and lively atmosphere, whether you prefer to soak up the sun with a craft cocktail in hand during the day or bask in the glowing lights of the city that winks from below at night. Another dynamic venue that shuns the notion that all rooftop bars should be prim and pompous, LOUNGEsix eagerly cuts the red ropes and creates an attractive destination that’s equal parts VIP and intimate, all in the most accessible way possible for everyone to enjoy. Even if you thought you weren’t hungry, the breezy coastal cuisine menu can’t fail to tempt you with fresh, seasonal dishes like garlic rosemary fries, light crisp lettuce wraps and charcuterie sharing platters. Just like the food, the cocktails here are all made with fresh, seasonal and, whenever possible, local ingredients. Signature drink: The pear flower lemonade. Try it with a shot of Grey Goose vodka to kick it up a notch. 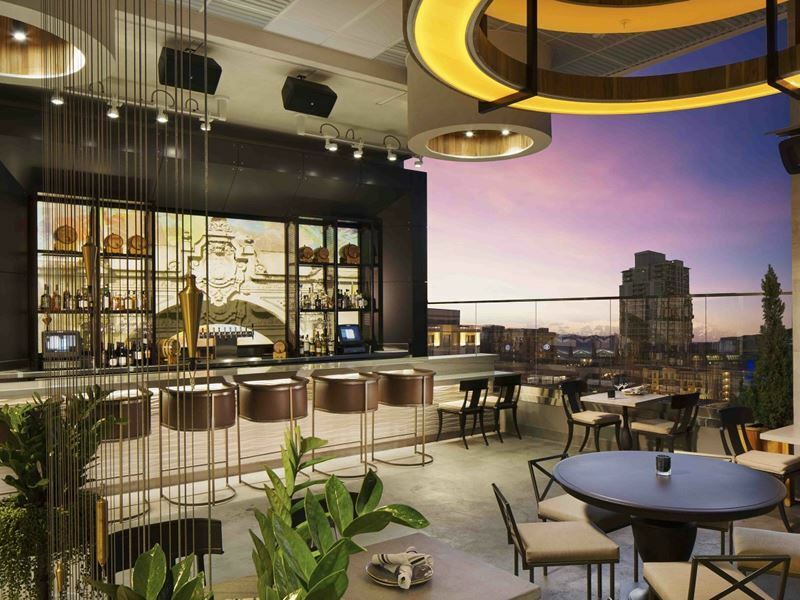 The scene: Rising 22 storeys into the sky, ALTITUDE Sky Lounge is the tallest open-air rooftop bar in the area, rewarding visitors with perfectly clear 360° views of the city. From here the panoramas are so superb that you can actually watch baseball games being played at the nearby Petco Park. When the sunk gently sinks into the city’s harbour, ALTITUDE Sky Lounge transforms from a relaxed sun-dappled place to watch the game into a vibrant after-dark experience, enhanced by multi-coloured lighting, modern fire pits and the latest tunes spun by the resident DJ. While you enjoy the electric atmosphere, you can nibble on small bar-style eats like chicken wings and nachos, or opt for one of the more filling dishes like a loaded flatbread, sandwich or burger. 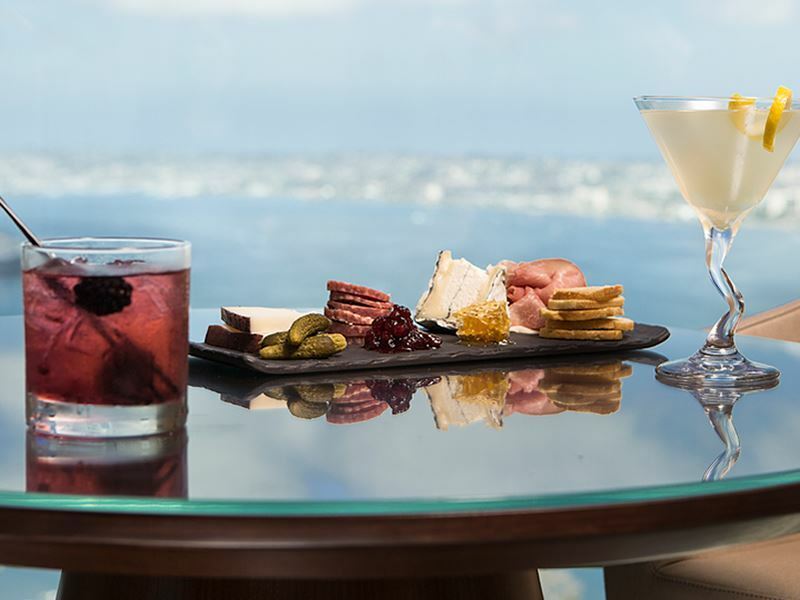 If you’re not in the mood for food, there are plenty of amazing cocktails and martinis on offer, as well as a small sampling of premium cigars. Signature drink: Champagne raspberry mojito made with Appleton rum, fresh mint, raspberries and champagne. 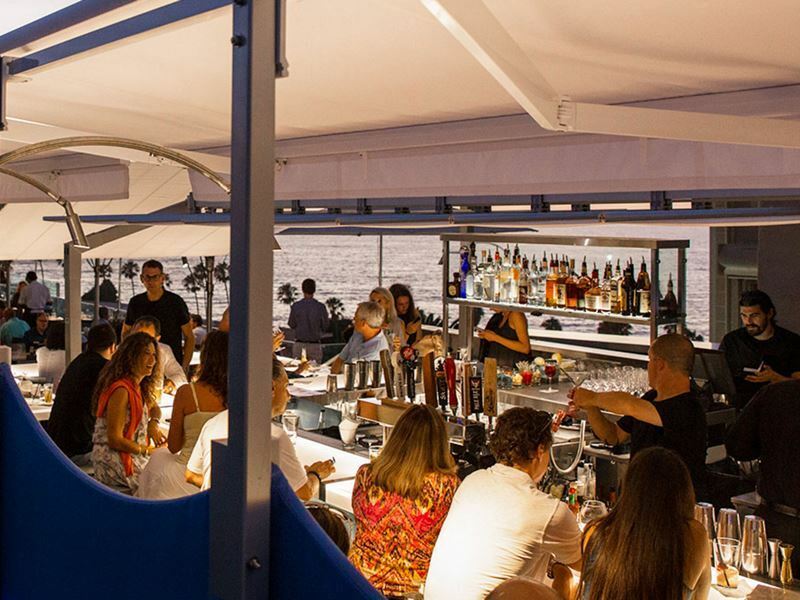 The scene: The million dollar view, fresh seafood and stellar cocktails are just some of the highlights that attract locals and visitors to George’s at the Cove. Divided into two main sections, Ocean Terrace boasts exceptional views across La Jolla Cove and provides the perfect place to enjoy a casual lunch or dinner al fresco under the San Diego sun. Start your leisurely meal with a fresh, crisp salad then follow it up with some Asian-inspired seafood or a rustic meat entrée while sipping on a glass of perfectly paired wine. If original cocktails are more your style, take it upstairs to the all-new Level 2 where you’ll find the same breath-taking panoramic views along with an exciting new drinks menu featuring every flavour imaginable. From craft mojitos chilled with hand-cut ice to giant punch bowls brimming with sweet and fruity cocktails for sharing, the drinks menu at Level 2 is bursting with so many tempting libations that you’ll definitely have to stop for more than one. Signature dish: George’s famous soup, topped with smoked chicken, broccoli and black beans. 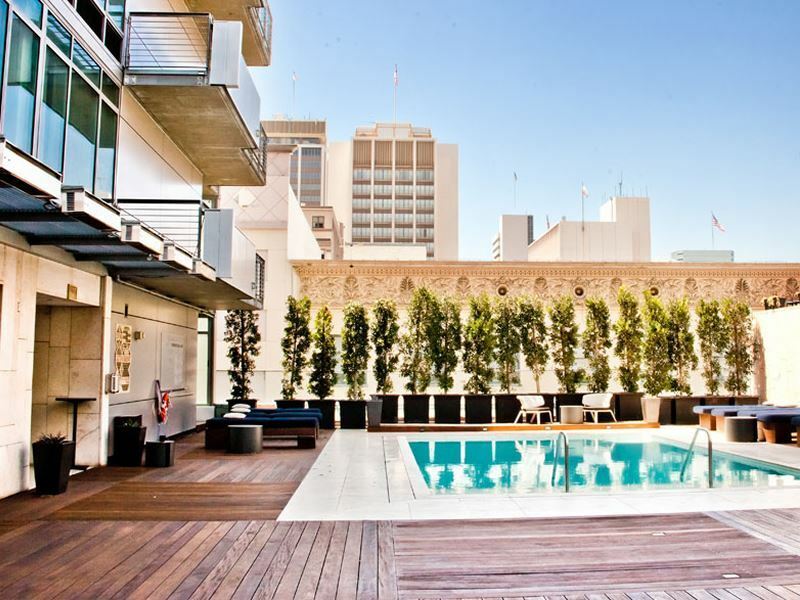 The scene: Creating an endless summer atmosphere than lives on through the seasons, SummerSalt Rooftop Bar and Lounge is the perfect place to party. When the sun’s shining, grab one of the cushioned loungers and work on your tan poolside while waiters bring you craft cocktails to the sounds of the latest hot playlist. With a light fare menu made up of pizzas, salads, seafood, sandwiches and burgers, you don’t even need to take a break from sunbathing to curb your appetite. When the temperature drops and the stars start to twinkle, don’t think about going home. Instead, switch up your outfit to something a bit more club-like and head back for even more drinks, music and dancing. During summer, there’s a party going on literally every day of the week, from backyard barbecues on the weekends to spa-inspired events during the week. Signature dish: The freshly-prepared pizzas on house-made crusts always go down well. 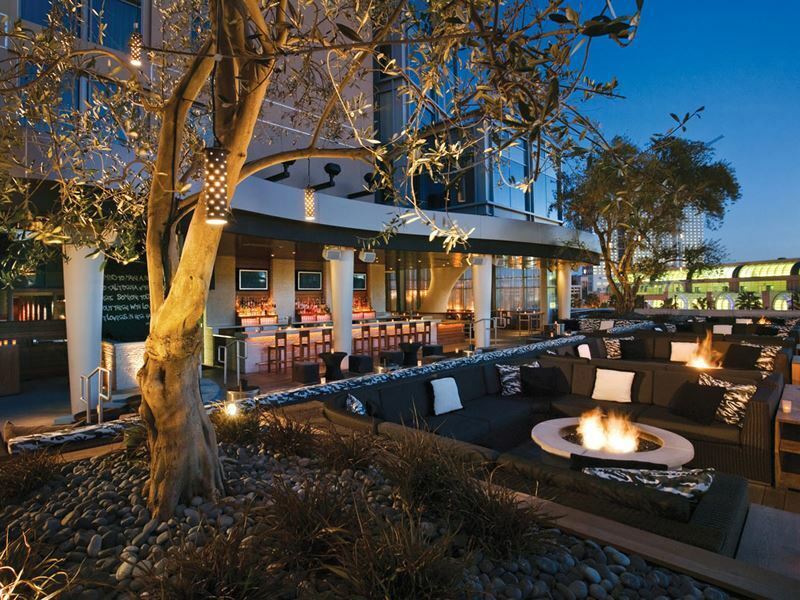 The scene: Named after John Nolen, the city-planning pioneer responsible for mapping out San Diego’s early landscape, The Nolen is the ideal place to admire the master planner’s work from afar. 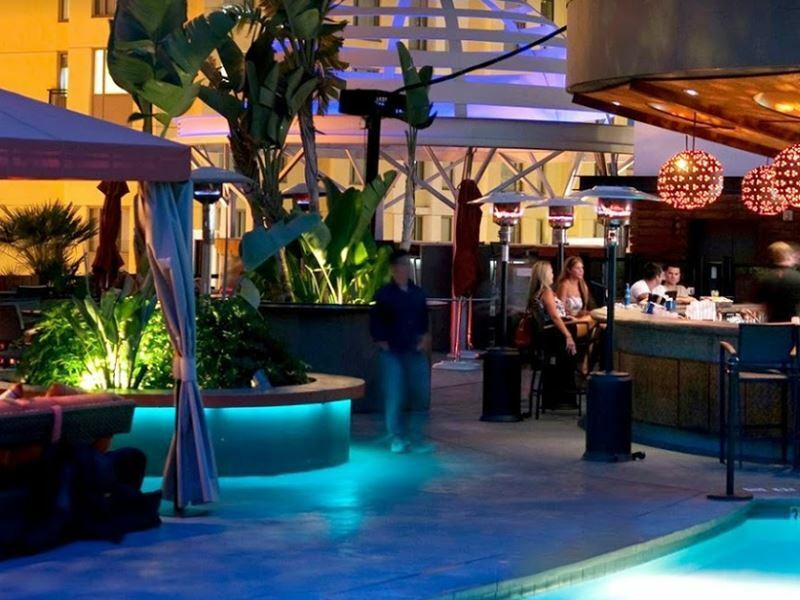 The destination rooftop bar and lounge is found on the 14th floor of the newly constructed Courtyard San Diego Gaslamp/Convention Centre. From here you can see everything from Point Loma to the Coronado Bridge and beyond from every seat in the house. Spirit-forward drinks grace the menu in the form of classic, timeless cocktails featuring local San Diego-made spirits, as well as a comprehensive selection of local and imported wines and beers. The food is served up in small starter-like portions, but with so many appealing dishes on the menu, that’s actually a good thing. All the menu items appear pretty standard at first, the burrata cheese and heirloom tomato salad for example, but take a closer look and you’ll see they’ve each got a small, special addition that takes them to the next level, in this case toasted hazelnuts. Signature dish: The Nolen shrimp cocktail, a twist on the classic served with a dollop of horseradish and vermouth. 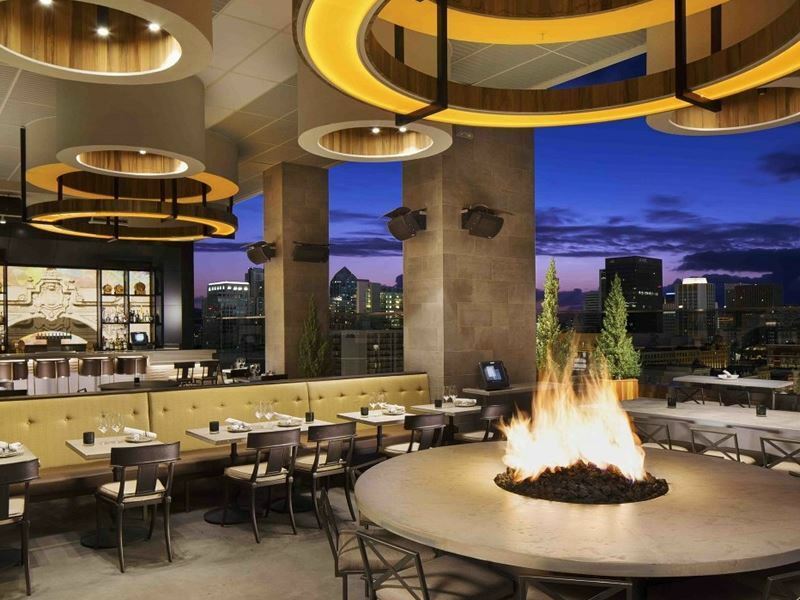 The scene: San Diego’s ultimate rooftop destination, Kettner Exchange is best known for its handcrafted cocktails, creative menu of American classics with an exciting global flair and incredible décor more commonly found in art galleries than bars. The urban-nautical design with wood panelled walls, chic low seating and lush greenery decorations oozes contemporary style and offers the perfect environment for a relaxed brunch with friends or a romantic date night dinner. The brunch menu is packed with intriguing new takes on popular classics, like eggs benedict served with tender belly bacon and confit potatoes. This refreshing and delicious theme carries on into the evening menu which boasts a huge choice of small plates, like big-eye tuna tacos served with guacamole alongside heartier choices like 45oz bone-in ribeye steak served with a blooming onion. If all that seems a lot to get your head around, just wait until you see the fully-loaded drinks menu, laden with innovative cocktails, wines by the glass, artisan beers and premium imported spirits. Signature dish: The daily-changing nature of the menu means there’s no real signature dish at Kettner Exchange. But if you ever see the hot oil-seared salmon served with soy, sesame and sunchoke chips available, you’ve simply got to order it.